Book your hygienist appointment today! Teeth Whitening. Let your smile shine! All Ceramic Metal Free Crowns. Smile to the max with IPS E.MAX! High quality white composite fillings for natural looking teeth. 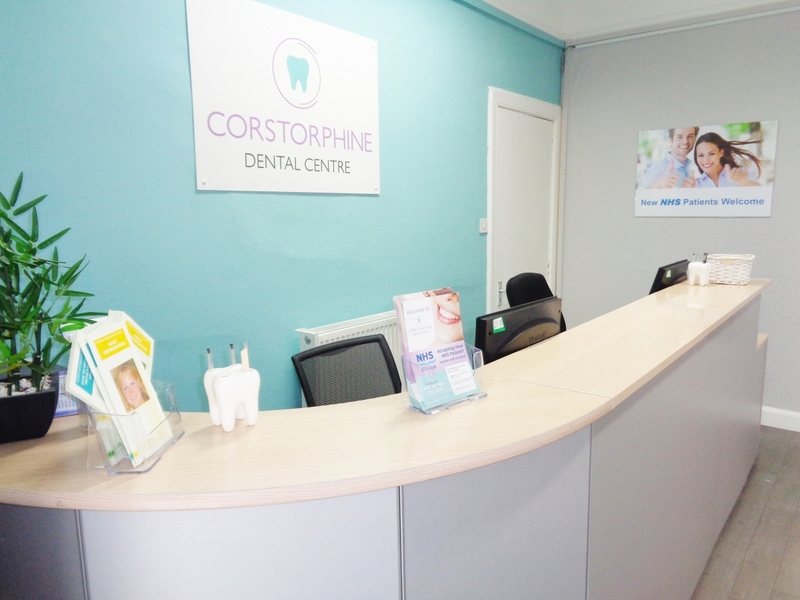 Corstorphine Dental Centre is an established dental practice offering an extensive range of both NHS dentistry and private treatment. 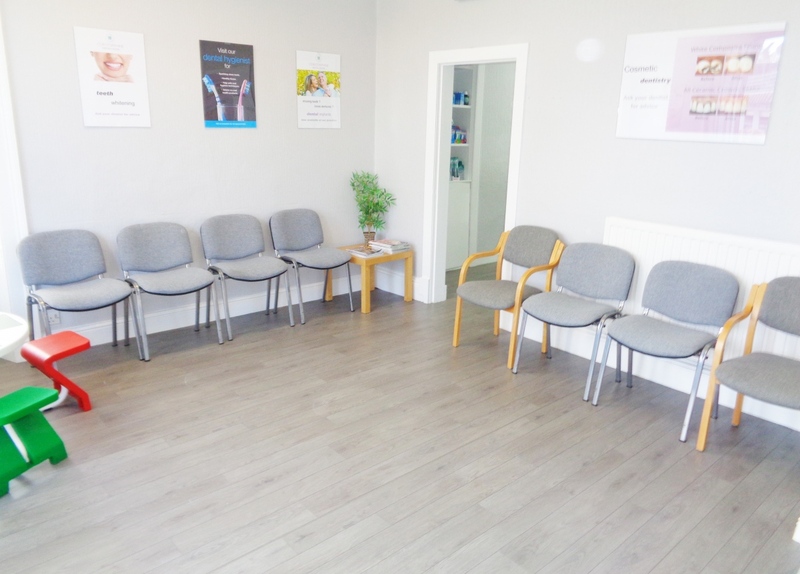 Our practice is conveniently located in the area of Corstorphine making it easily accessible for patients in and around Edinburgh. With a caring and highly skilled team, we look forward to welcoming you at our family friendly practice. 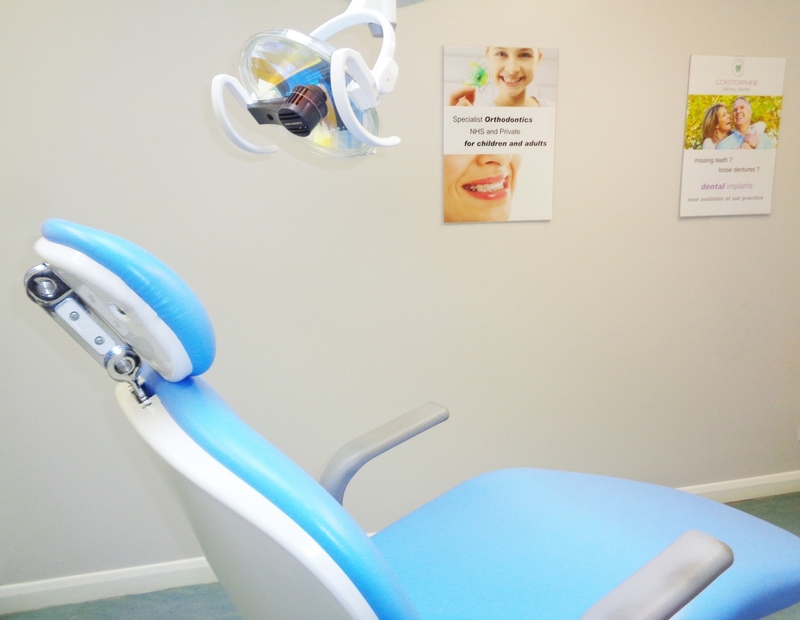 With a welcoming atmosphere, state of the art dental equipment and a team committed to professional and friendly care; we meet your dentistry needs. From preventative care, dental implants and cosmetic dentistry and much more Corstorphine Dental Centre want to give you a smile to be proud of. We know that for many people, a visit to a dentist is not an enjoyable experience. However, with our tailored treatments and a new approach to dentistry, we want to make a visit to the dentist a pleasant experience for everyone. All of our team are trained in supporting nervous or anxious patients as well as explaining every aspect or process to soothe concerns and help understanding for both children and adults. We know that phobias and anxiety can get in the way of proper dental care, which is why we have a specially trained team who can help to put your mind at ease. For all patients, we strive to make a visit to our practice a welcoming, friendly and stress free experience. Searching for an ‘NHS dentist near me’? At Corstorphine Dental Centre, we are proud to currently accept new NHS patients as well as those who are looking for private treatment. All of our NHS patients receive a free, thorough clinical examination so that we can diagnose any issues and offer preventative advice so that you can maintain good oral hygiene and improve your dental health. As well as routine check-ups, our dentists also offer a variety of dental treatment. During a consultation, your dentist will discuss the most appropriate treatment options depending on your needs. After talking through the options, with their advantages and disadvantages, you will have the choice of how to proceed. With patient happiness and well-being being our priority, we always make sure that our patients have all the information they need to make an informed decision that they are happy with. Are you entitled to free dentistry on the NHS? 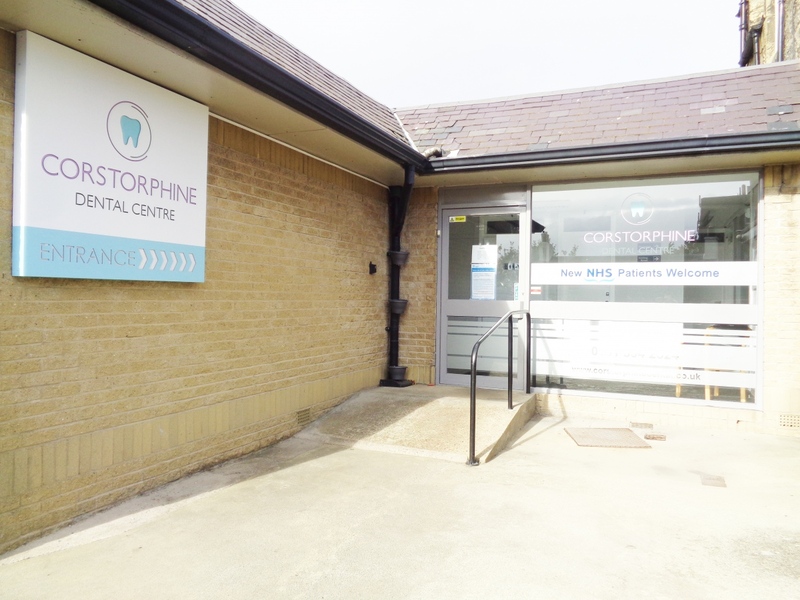 Corstorphine Dental Centre currently accepts new NHS patients which means we offer the affordable NHS dental charges for treatments as well as convenient emergency dental treatment. 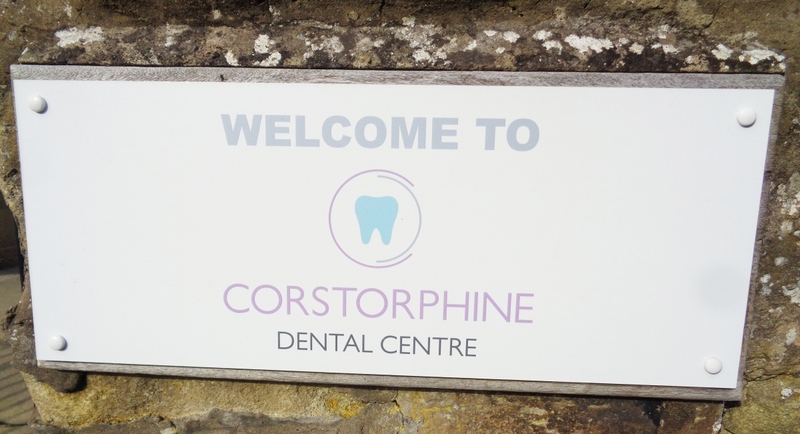 At Corstorphine Dental Practice, our holistic approach to dentistry helps to deliver excellent treatment that is specifically tailored to each individual need. 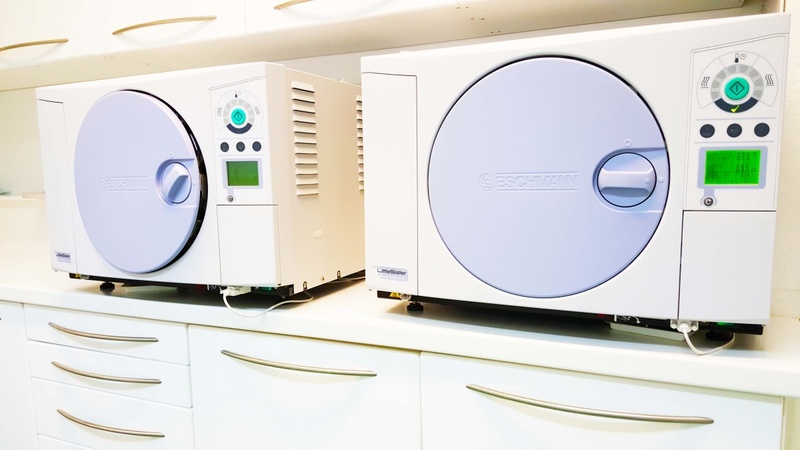 We invest in the latest equipment, to provide all of our specialists with the tools they require to deliver the most effective and efficient treatment. We firmly believe that your mouth is the gateway to your health and wellbeing. By offering regular check-ups and following a preventative dentistry ethos, we can make sure that we can detect issues early, prevent worsening conditions and ensure you have all the information you need to follow good oral hygiene practices to improve your smile, wellbeing and confidence. By working together, we can help to reduce your need for treatment and leave our clinic with a healthy smile. Whether offering private treatment or NHS dentistry, our philosophy remains the same. We are committed to providing the best treatment possible and ensuring excellent care so that each visit is a pleasure, not a chore. With a specialist, highly-trained team covering a range of skills, we work together to nurture each patient. Ultimately, we want to make sure everyone has a positive approach to oral health and knows that our dental centre is a place where we can help to create beautiful, healthy smiles. Our dental practice is one that is founded on a family-friendly atmosphere. We provide a superbly high standard of professional and committed care to both children and adults alike. We know a trip to the dentist for any child can be a nerve-wracking experience, which is why we have focused on creating a welcoming environment to make oral care a fun and educational experience. Our team greet every patient with a smile and are fully trained to provide fun and supportive treatment in a friendly and relaxed environment. We do not rush, with every appointment we are dedicated to making every patient feel comfortable, happy and relaxed and will take the time to answer any questions from even the most inquisitive of minds. We are also a Childsmile practice, which means we are committed to providing all of our patients under six years old with advice for maintaining a healthy mouth as well as preventative fluoride varnish applications to help prevent dental decay. At Corstorphine Dental Centre, we offer a range of dental procedures to suit every patient. From cosmetic treatment such as teeth whitening and porcelain veneers to give you a confident, healthy smile to fillings and crowns to help reduce the impact of dental decay. With both NHS treatment in Edinburgh and affordable, quality private treatment, we have a full range of effective dental treatments available to help you find the right level of dentistry to suit your needs. From a simple, regular check-up and hygienist visit to a comprehensive treatment plan to help you have the oral health and smile that you want. Dental implants are a common solution for patients with a missing tooth or teeth. Ask your dentist for more information. We are a Childsmile Practice. Our dentists will offer oral health advice and fluoride varnish applications to all children enrolled on Childsmile. Porcelain veneers are a quick and easy way to fix chipped, stained or misaligned teeth. Find out how they can help you restore your confidence. We can help you achieve a bright, natural, white smile and regain your confidence. Change your silver fillings with white ones. Ask your dentist for advice. I have always had a fear of the dentist all my life. This is the best dental practice and dentist I’ve ever had. Dr Rafailidi is fantastic, very efficient and communicates brilliant regarding her dental advice. I feel really content about the treatment experience and I’d like to thank Dr Rafailidi. First class treatment and aftercare. I felt brilliant after every visit. Dr Thomas Murphy knew how to make me relax. My new smile looks and feels wonderful. Staff all fabulous and helpful. I felt very welcome and appreciated. All the staff are absolutely fantastic. My treatment was painless and although I was a bit nervous at first the dentist was fantastic. My new smile makes me feel more confident.